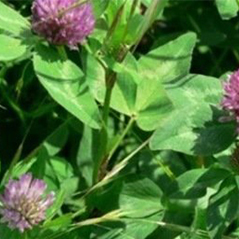 Clover used mostly as a biennial; nutritious and highly palatable. 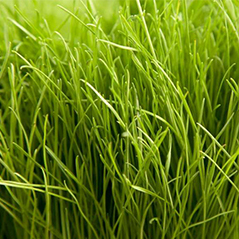 It makes nutritious and highly palatable hay, pasture, or silage. 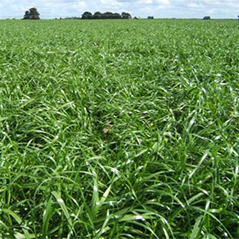 it can be grown alone or in a mixture with alfalfa, brome, timothy, or orchardgrass. Medium Red is more shade tolerant than alfalfa and persists under wetter and more acidic conditions. 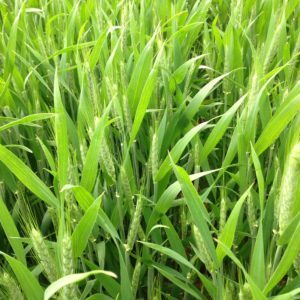 Mixed with alfalfa, it provides some insurance against loss due to winterkill. Red clovers are often used in grass mixtures predominantly for cutting. Red clovers are one of the fastest establishing legumes and can even be grown on more acidic soils. The main draw back is limited persistence and winter-hardiness. 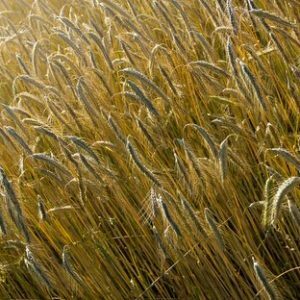 However, through breeding, improvements have been made on these characteristics.